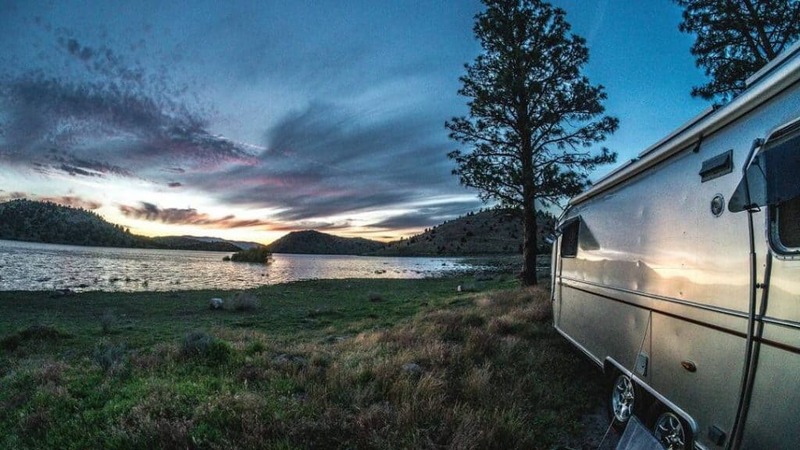 Finding stunning RV campsites is one of the many joys of traveling full time in an RV. There are so many options and types of RV parks and camping out there, that you’ll be able to take your pick. Not to mention, it’s pretty awesome to be able to change your backyard whenever you choose. 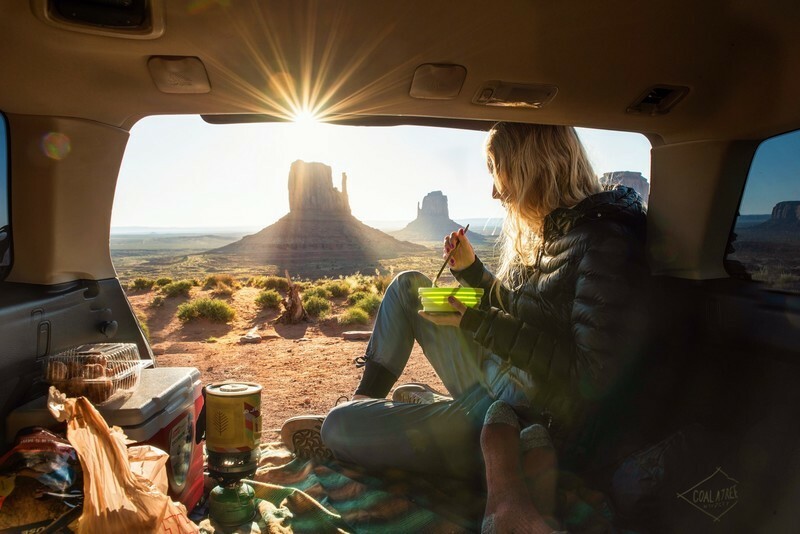 Whether you’re craving the desert, the mountains, the forest or the beach, there are RV campsites everywhere. Want to try boondocking, or free camping? 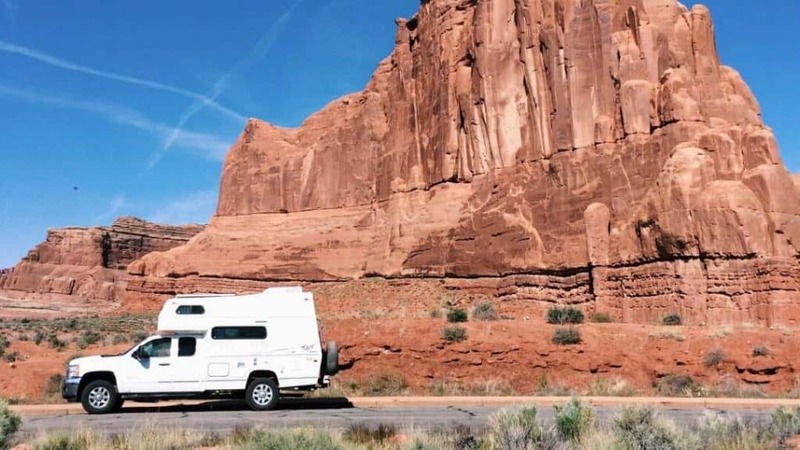 Check out our Ultimate Guide to RV Boondocking. 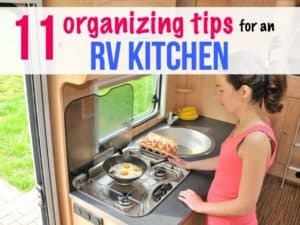 I caught up with Nicole Calvert of RV Doing This for some tips and tricks her family uses to find RV camping. 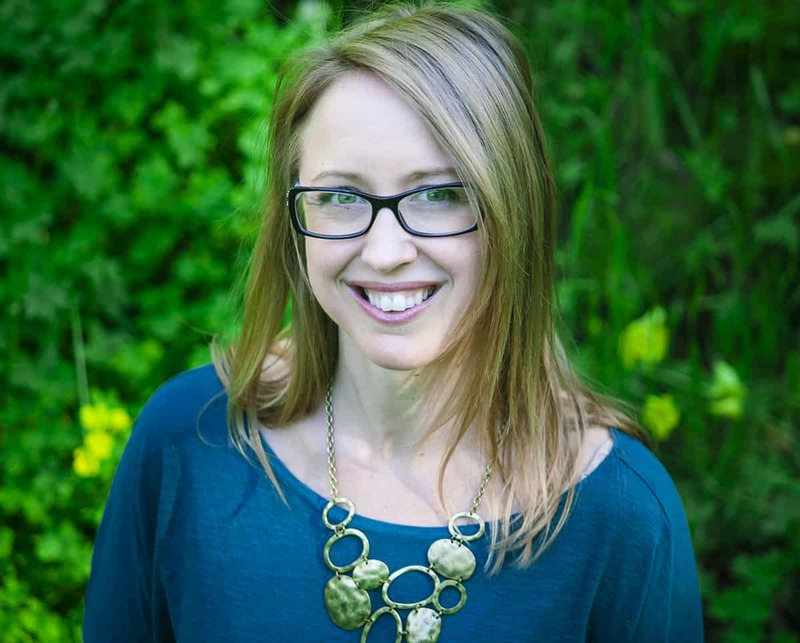 Nicole’s family has been living and traveling in an RV full time for one year after they got sick and tired of going to work, coming home, eating dinner and sitting on the couch in front of the TV. They wanted to do something different and meaningful with their lives, which is why they decided to travel full time. 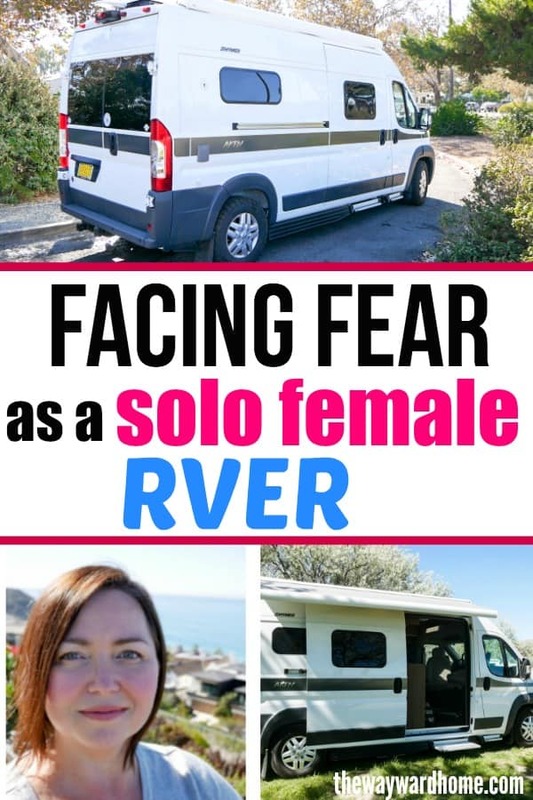 Here are Nicole’s tips for RVers looking for RV camping for their adventures. 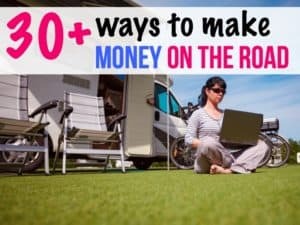 How do you go about finding RV campsites? What are your top resources? There are a few ways we go about finding RV campsites. 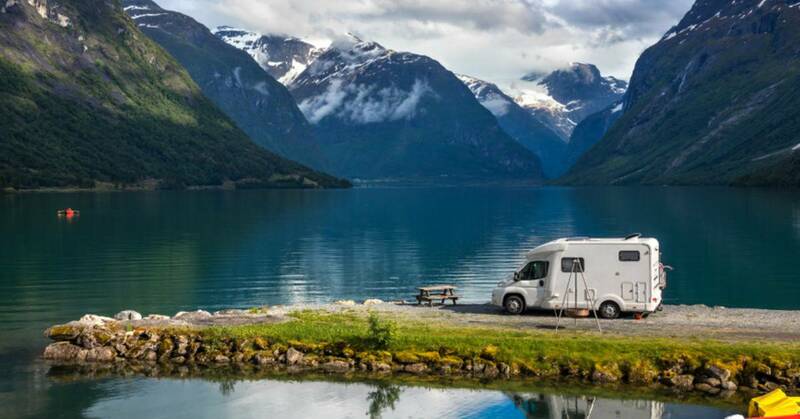 Like most full time RVers, we have a Good Sam membership, which allows you discounts at thousands of parks and has an app that makes it easy to find their RV parks. The KOA is the same way. 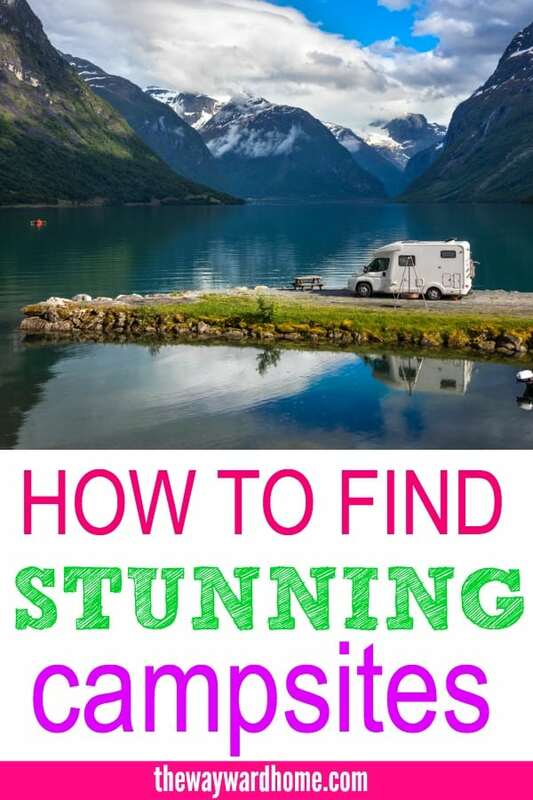 But since we try to stay on the cheaper end or close to free, we use this book called “The Wright Guide To Free and Low-Cost Campgrounds.” This book is so great and definitely our favorite way to find campsites. It also helps find great boondocking areas, where we can camp for free! And as a last option, we have the “RV Parks and Campgrounds” app for our phones! What is your favorite type of RV camping? Our favorite campgrounds are either family owned parks or national/state parks. Don’t get us wrong, we’ve stayed at some amazing KOA parks, but they are normally crowded and higher priced. Our favorite KOA was at Cape Hatteras, NC and it was amazing! But we spent double there than what we would have spent at a non-corporate park. State and National parks are great because they are cheaper and you are right in nature! The KOA parks and big national chain parks are not in the book we mentioned above, so that’s why we tend to not stay at them. What amenities do you look for at RV campgrounds? The main amenity we look for is nice showers and restrooms! We have a shower in our RV, but it’s small and we have limited hot water, so RV park showers is where we prefer to shower! So, clean and nice bathrooms is a must for us. We also like parks that have a playground, park or some area for the kids to play. This isn’t a huge priority since we normally are out exploring, but it helps when we need the kids to go play while we work in the RV. 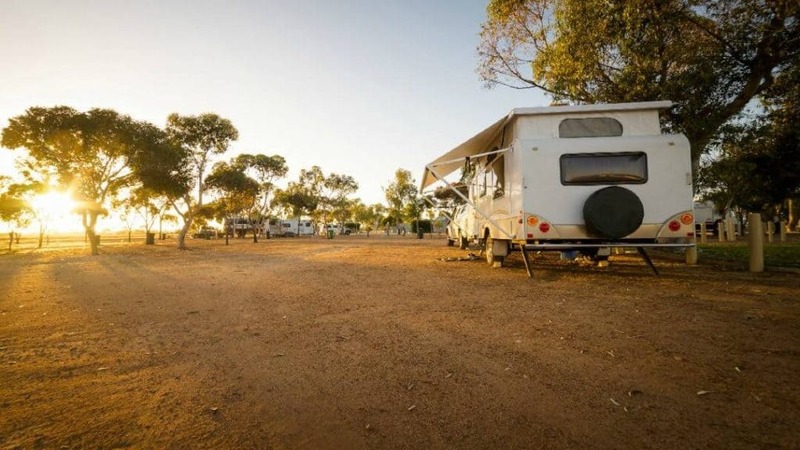 Has it ever been difficult finding RV campsites? The only time we ever had a problem finding a place to park the RV was when we were in the NYC, D.C. and Boston area. These big city areas don’t have a ton of campgrounds near them, so we had to be further away from the sights we were planning to see. For both D.C. and NYC we had to take the train in from a town close to our campground to get to the city. Other then these big city sights, we’ve never had a problem. Do you plan your RV campgrounds out in advance? We normally plan everything out in advance, even if it’s just the morning of, I normally have a place we will be staying for the night, but there are always back up plans to if something happens, like staying a night in a Walmart parking lot or looking for Bureau of Land Management land where you can stay for free. We’ve stayed in a Walmart parking lot once, and it’s not horrible, but I’d much rather be at a campground or boondocking! 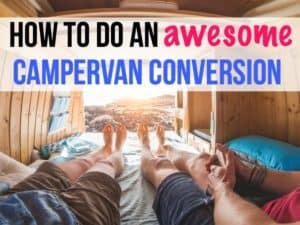 What are the differences between staying in a campground with the RV as opposed to boondocking? When you stay in a campground you are going to be near lots of other campers, you have to abide by park rules, and you’re paying money for your site. However, you have water, sewage and electrical hook-ups, restrooms and showers and a sense of security. Boondocking is great because you’re normally out in the middle of nowhere, no one around and amongst beautiful nature! However, with boondocking you don’t have the amenities like electricity, running water and sewage dump station. You have to run a generator, conserve water in your tank and drive to a nearby dump station to dump sewage. We normally boondock only 3-4 days so we aren’t traveling back and forth just to dump! It all just depends are your needs for that time frame, where you’re going and what you’ll be doing. If you’ll be having a business meeting one week, boondocking may not be your best choice! 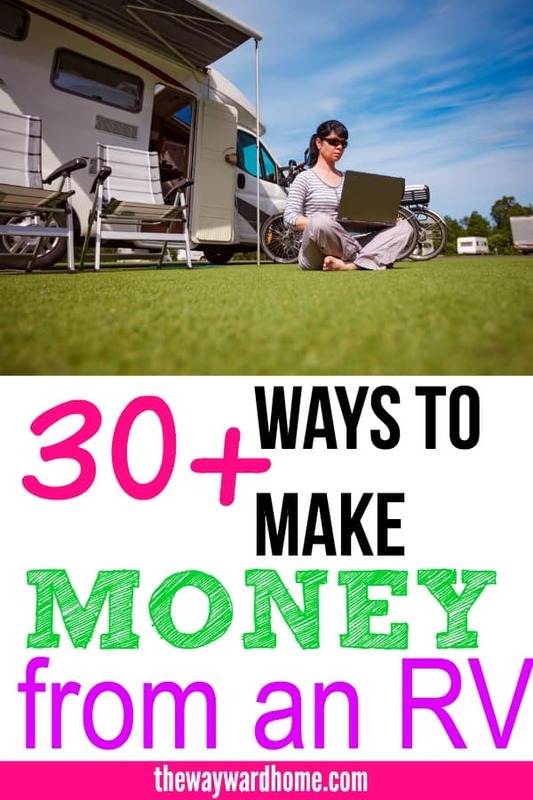 What other advice do you have for people looking for RV campsites? My best advice, and what we do, for planning routes and campgrounds to stay at, is to know what you want to be close to, like a particular city, destination, sightseeing spot, national park, etcetera, and then from there use the free or low-cost campground book I mentioned above to look for parks near there. Most of the time this works out and you find a great, cheap or free park to stay in near your destinations. If like in some big city areas, there aren’t any nearby, you’ll need to determine if it’s easier to spend a little more for a KOA or larger campground that will save you money in the long run on gas or public transportation. We always start with what we want to go see, and then work our way from there. If you can’t find anything in the book and you need cheap, try the app or the BLM website for boondocking areas! You don’t have to stay on major roads to find great campsites, either! We’ve gone to some really great, family-owned campgrounds out in the middle of nowhere! Just be open to looking beyond the major destination locations and you may find something amazing! And always remember, you’re camping/RVing, so don’t sweat the small stuff! 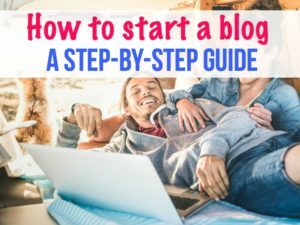 I really like your tip about starting with what you want to go see first, and then working your way from there. My dad is planning to bring the whole family to a good old RV camping trip. He thinks it’s a great way to bond since he’s been away overseas for quite some time. However, he can be a bit all over the place when picking out the campsites we haven’t been to before. I’ll be sure to share this article with him so he can prepare our route better. Wonderful! Good luck on your journey!